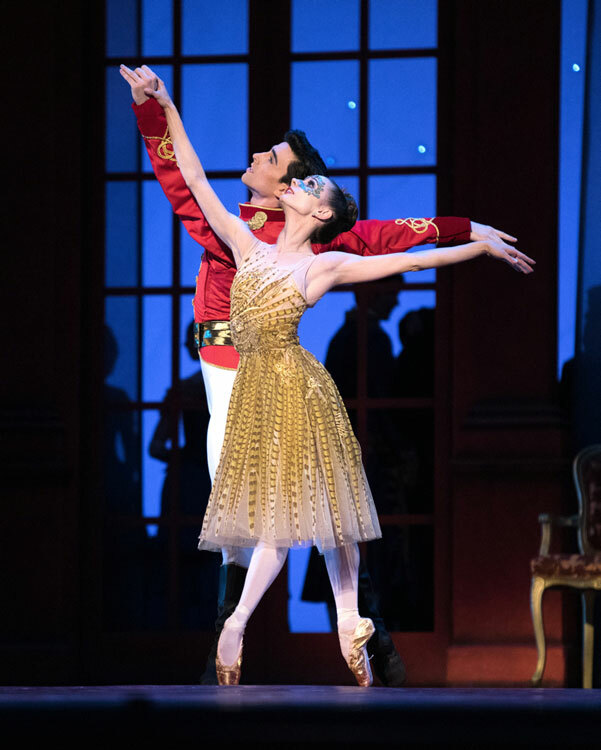 For the finale of a season characterized by a wealth of fabulous and imaginative productions, San Francisco Ballet really has no other option than to go out with a flourish – and Christopher Wheeldon’s magnificent production of Cinderella is just the ticket. Wheeldon is regarded as the most successful choreographer of his generation, so it came as no surprise that, when a Broadway revival of An American in Paris was planned, Wheeldon was asked not only to do the choreography, but to direct the production as well. The huge success that it achieved in New York (and is currently enjoying in London’s West End) tells us all we need to know about the Midas touch of this extraordinarily talented artist. 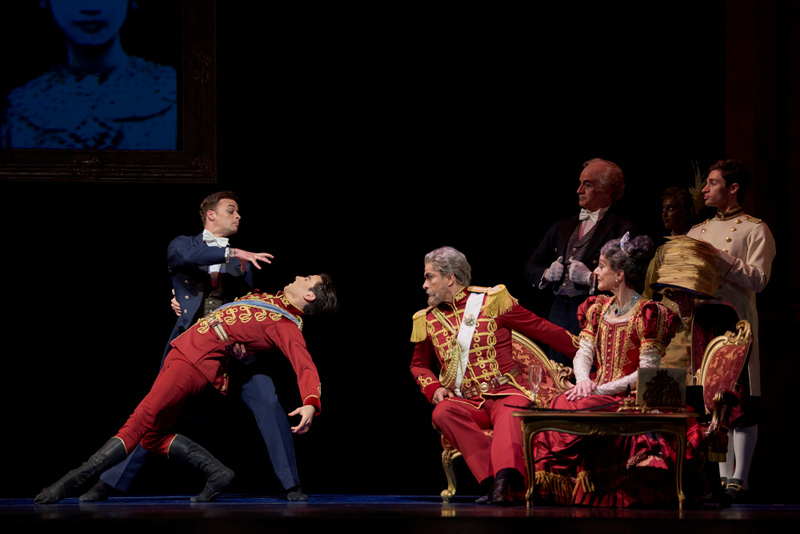 True to style, Christopher Wheeldon was never going to serve up a traditional interpretation of Cinderella, but he’s drawn on both the Perrault and Brothers Grimm versions of the fairytale as the basis for his storyline, and then added tiers of his own ingenuity, to deliver a simply magical result. He’s created a ‘living’ tree as the focus for Cinderella following the death of her mother, replaced the Fairy Godmother with four ‘Fates’ to guide and protect her – and the brilliance behind the creation of her coach is pure genius. 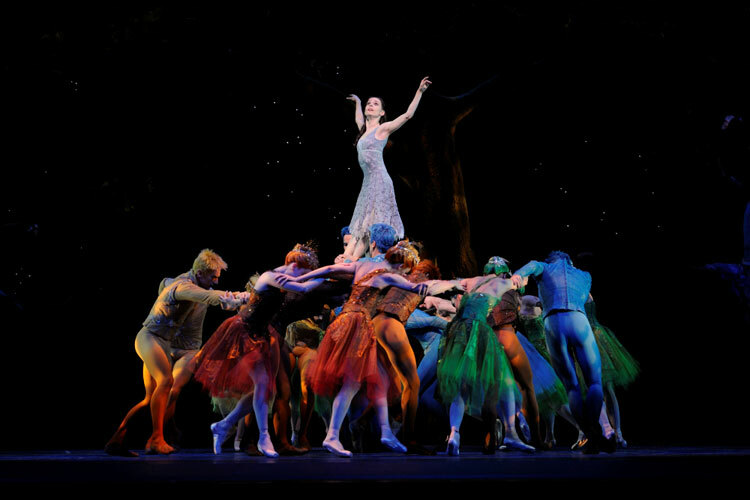 Wheeldon’s Cinderella, a co-production between the Dutch National Ballet and San Francisco Ballet, was created on both companies simultaneously in 2012. It’s been described by The Washington Post as “an utterly exquisite production”, and so it is – the result of a collaboration between some wonderfully creative artists, which Wheeldon has used to spectacular effect. The stunning sets and exquisite costumes are by Julian Crouch (the Metropolitan Opera and Broadway) special effects by Obie Award winner and MacArthur Foundation Fellow, Basil Twist (the tree and that coach! ), with lighting by Natasha Katz, and projection design by Daniel Brodie. Wheeldon has also retained Prokofiev’s absolutely gorgeous score which, although not as well known as that for his Romeo and Juliet, is every bit as lovely, filled with sumptuous melodies and the full range of variations in true classical ballet tradition. Prokofiev started writing the score in 1940 – a work initially intended for the then Kirov Ballet (now the Mariinsky), but due to the intervention of World War II, he moved it aside and didn’t return to it for two years. When it was finally completed, operational problems caused by the War prevented the Kirov from mounting the production, and it was premiered by the Bolshoi Ballet instead, in November 1945. The ballet was a tremendous success, and the score was one of the Prokofiev works named when he was awarded a Stalin State Prize shortly afterwards. Cuban pianist Omar Sosa – “… one of the truly illuminated minds of world jazz ….” (Billboard) is causing something of a stir on the San Francisco jazz scene this week – he’s in residence at SFJAZZ for four performances. 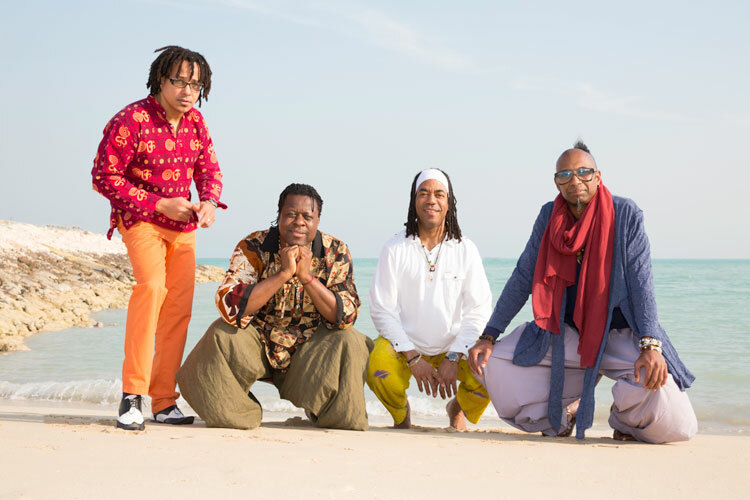 In two of these, Sosa performs with his Quarteto AfroCubano – Ernesto Simpson on drums, electric bassist Childo Tomas and Leandro Saint-Hill on saxophone and flute. Sosa’s special guest is percussionist John Santos, one of the founding artistic directors of SFJAZZ. These performances are followed by an evening with the Omar Sosa JOG Trio, with Joo Kraus on trumpet, percussionist Mino Cinelu, and special guest Yosvany Terry on saxophones. In his final performance, Sosa appears as part of the GFS Trio, with Trilok Gurtu on percussion and Paolo Fresu on trumpet and flugelhorn. High praise for Sosa comes from the Chicago Tribune, which writes: “Although Cuba has produced more than its share of leonine jazz pianists, Sosa stands out among them because of the crystalline beauty of his touch and the nimbleness of his technique”. 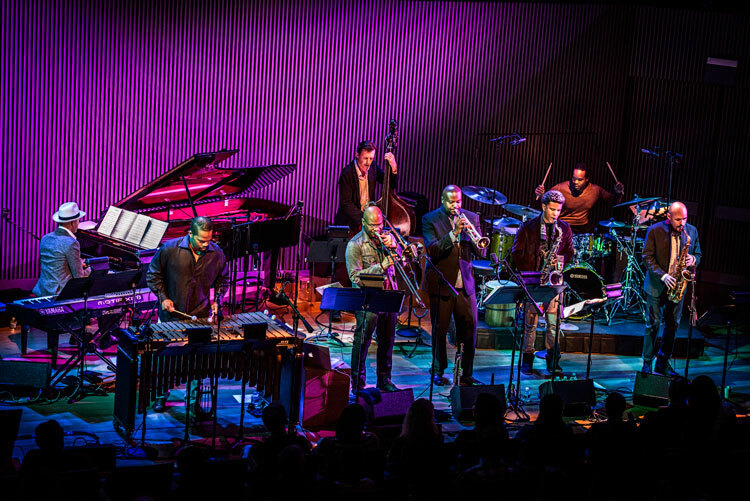 For more information and tickets, visit www.sfjazz.org. 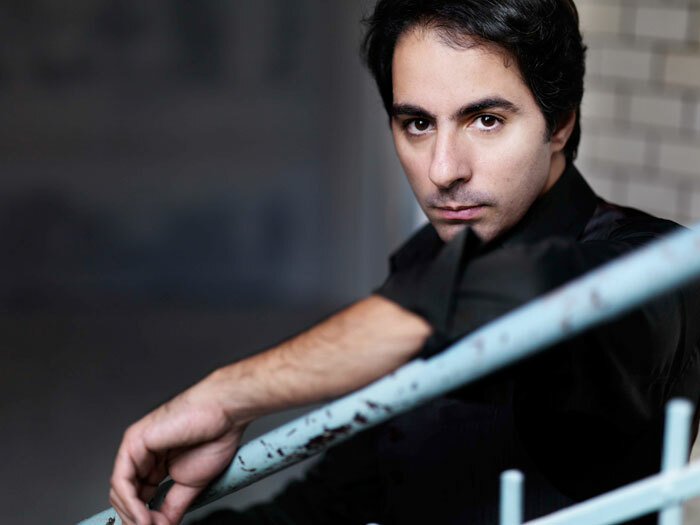 Saleem Ashkar – who, according to the Berliner Morgenpost balances “thoughtfulness and virtuosic abandon with playfulness and beauty of sound” – gives a recital of music by Beethoven at Hertz Hall in Berkeley this week. He was given his opportunity to shine by none other than Zubin Mehta who invited Ashkar to perform the Tchaikovsky Piano Concerto No 1 with the Israel Philharmonic Orchestra when he was just 17 years old. For more information and tickets, visit the Cal Performances website. In its current Live in HD broadcast series, the Metropolitan Opera this week presents Tchaikovsky’s heartrending adaptation of Pushkin’s verse novel, Eugene Onegin. 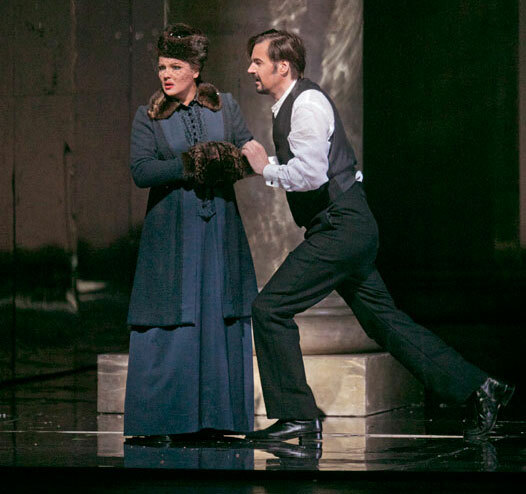 This production – a revival of Deborah Warner’s staging which opened the Met’s 2013-14 season – is led by British conductor Robin Ticciati, and hosted by Renée Fleming. It stars Anna Netrebko as the naïve heroine Tatiana, Peter Mattei in the title role, with Alexey Dolgov as Onegin’s one-time friend Lenski, Elena Maximova as Tatiana’s sister Olga, and Štefan Kocán as Prince Gremin. According to the New York Times, “Ms. Netrebko put everything on the line during the great ‘letter scene’ … Her distinctive sound, warm and sumptuous with a dusky cast, and her raw intensity combined to convey the longing and fear embedded in every phrase”. Of the “charismatic baritone” Peter Mattei, the New York Times wrote that he “…. sounded lustrous as the title character, vividly conveying Onegin’s transformation from the aloof, coldhearted bachelor who patronizingly rejects Tatiana to the heartbroken man who realizes, too late, that he loves her”. Eugene Onegin will be staged at the Metropolitan Opera at 12.55 pm ET on Saturday, April 22, and transmitted live to cinemas across the country. Follow this link to find San Francisco cinemas and screening times. Eugene Onegin will also be broadcast live in the Bay Area on Classical KDFC on Saturday morning at 9.55 am. Visit www.kdfc.com for frequencies, or to listen online. 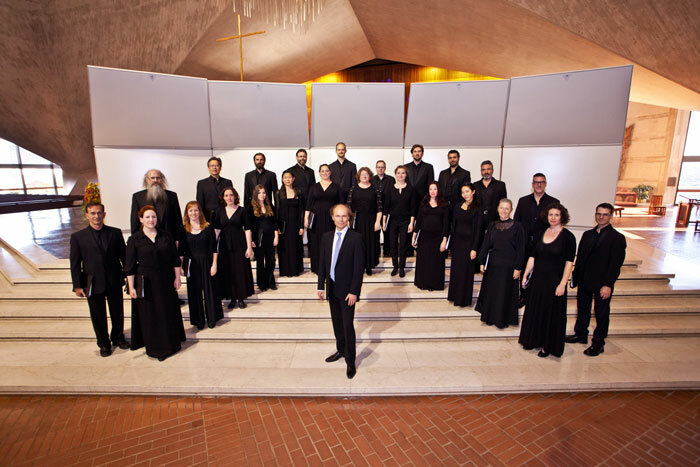 Ragnar Bohlin, director of the San Francisco Symphony Chorus for nearly a decade, is the inspiration behind the formation of the 24-voice Capella SF, regarded as one of the Bay Area’s most exciting new artistic ventures. This program includes music by Bach, Ola Gjeilo (a World Premiere) and Arvo Pärt, and the performance takes place at Hertz Hall in Berkeley on April 22. 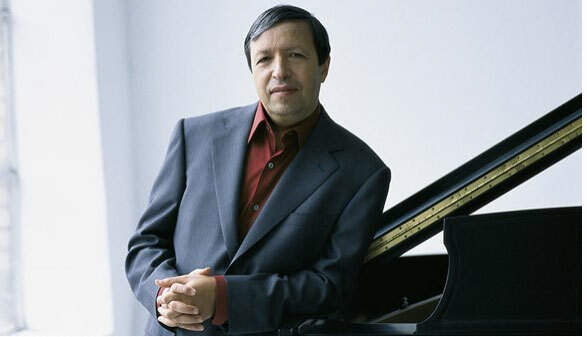 The San Francisco Symphony presents American pianist Murray Perahia in recital at Davies Symphony Hall on April 25 with a program of great masterworks for piano. In a career spanning more than 40 years, Murray Perahia is one of today’s most sought-after pianists, having performed with the world’s leading orchestra’s in major international music centers around the globe. Currently Principal Guest Conductor of the Academy of St. Martin in the Fields, Mr Perahia is also an honorary fellow of the Royal College of Music and the Royal Academy of Music, holds honorary doctorates from Leeds University and Duke University, and in 2004, was awarded an honorary KBE by Her Majesty The Queen, in recognition of his outstanding service to music. His recital program, at Davies Symphony Hall, includes Bach’s French Suite No 6, Schubert’s Impromptus, D.935, Mozart’s Rondo in A minor, and Beethoven’s Piano Sonata in C minor, Opus 111. For further information and tickets, visit the San Francisco Symphony website. 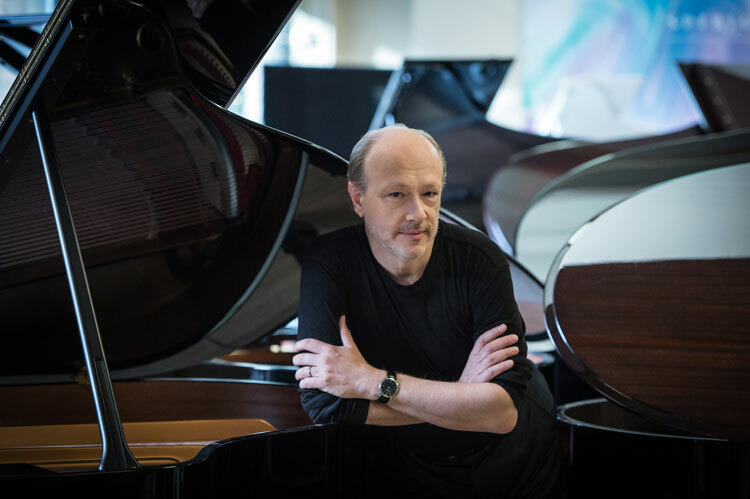 There’s an unusual opportunity to see internationally acclaimed pianists Leif Ove Andsnes and Marc-André Hamelin make a joint appearance in a two piano/four-hands recital, presented by San Francisco Performances early next week. The program is interesting as well, featuring three rarely-heard works – one of which is Stravinsky’s The Rite of Spring performed as a Concerto for Two Pianos, the format in which Stravinsky originally published the score in 1913. It was this version which the composer played, with Claude Debussy at a private party in the home of French critic Louis Laloy. The other works on the program are Mozart’s Larghetto and Allegro in E-flat major, and Debussy’s En Blanc et Noir. 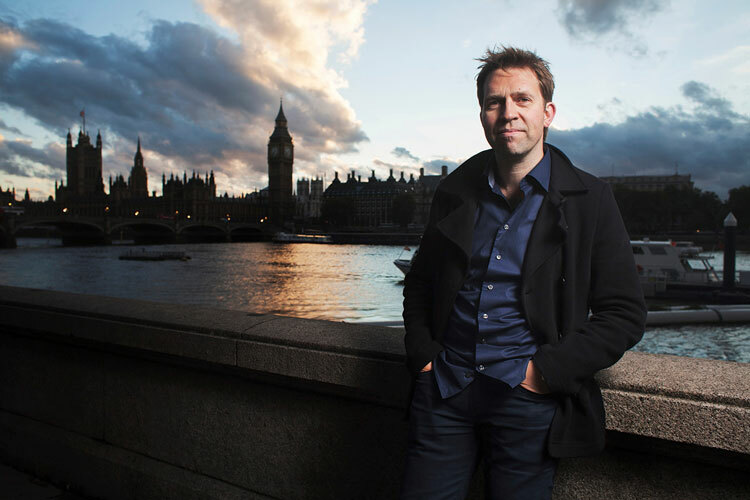 Leif Ove Andsnes and Marc-André Hamelin appear at the Herbst Theatre on April 25. For more information, and tickets, visit sfperformances.org. 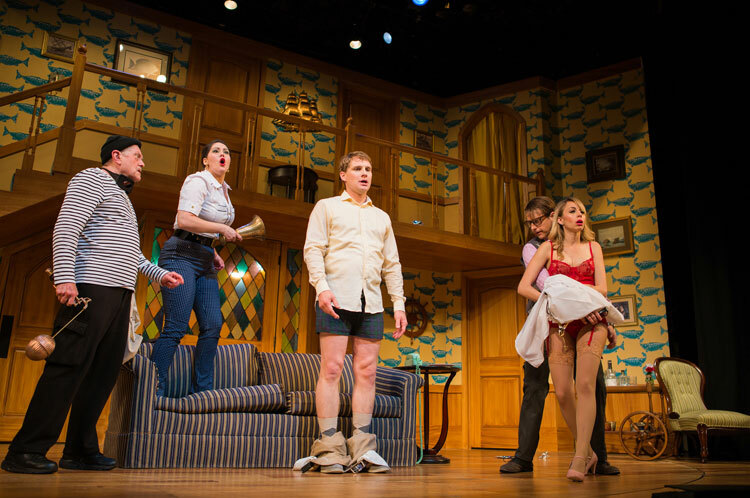 Susi Damilano’s marvelous production of Michael Frayn’s priceless comedy Noises Off continues to delight audiences at the San Francisco Playhouse. Acknowledged as one of the most popular plays in the world, this play-within-a-play, strips to the bare bones the backstage antics involved in producing a farce, in the process making fun of the world of the theatre, and those who move within its rarefied atmosphere, in truly hilarious fashion. For more information, and tickets, visit the San Francisco Playhouse website. 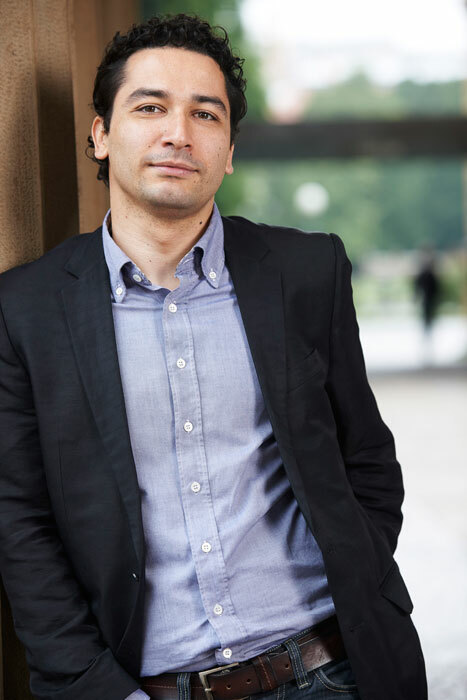 Conductor Andrés Orozco-Estrada makes his debut with the San Francisco Symphony in two Russian masterworks at Davies Symphony Hall this week – the notoriously challenging Prokofiev Piano Concerto No 2, with guest pianist Denis Kozhukhin, and Rachmaninoff’s gorgeous Second Symphony. Born in Colombia and trained in Vienna – where he now resides – Andrés Orozco-Estrada rose to international prominence in 2004, leading the Tonkünstler Orchestra Niederösterreich in a performance at the Vienna Musikverein. Not only was this followed by engagements with many international orchestras, but it resulted in the formation of a highly successful relationship with the Tonkünstler Orchestra, where Maestro Orozco-Estrada served as Music Director from the 2009-10 season for four years. In September 2014 he took up the roles of Music Director of the Houston Symphony, and Chief Conductor of the Frankfurt Radio Symphony Orchestra, the latter appointment prompting the Darmstädter Echo to comment that the Orchestra had found “a conductor who equally values achieving tonal finesse and unleashing the epic nature of the music. The result – a narrative force which captures the listener from the very first bars”. Since the 2015-16 season, Andrés Orozco-Estrada has also been the Principal Guest Conductor of the London Philharmonic Orchestra. This season sees his debut with the Berlin Philharmonic, and tours to Budapest, Warsaw, Monte Carlo, the Dresden Music Festival, and across Spain. He accompanies the Filarmónica Joven de Colombia on their first European tour, and will also tour Europe with the Houston Symphony in its European debut. Russian pianist Denis Kozhukhin made his first appearance in San Francisco in 2014, with the Saint Petersburg Philharmonic, as part of the San Francisco Symphony’s Great Performers Series, and this week he makes his debut appearances with the Symphony itself. Having won the Prix d’Honneur at the Verbier Festival in 2003, he has since appeared at a number of the world’s leading festivals and concert halls, among them the Progetto Martha Argerich in Lugano, Berliner Philharmonie, Kölner Philharmonie, Jerusalem International Chamber Music Festival, Carnegie Hall, Leipzig Gewandhaus, Amsterdam Concertgebouw, Auditorio Nacional Madrid, Accademia Nazionale di Santa Cecilia Milan, Théâtre du Châtelet and Auditorium du Louvre Paris. Highlights of Denis Kozhukhin’s current season include appearances with the Royal Concertgebouw Orchestra, Philharmonia Orchestra, Deutsches Symphonie-Orchester Berlin, Philadelphia Orchestra, Mahler Chamber Orchestra, Frankfurt Radio Symphony, Czech Philharmonic, Royal Stockholm Philharmonic, Oslo Philharmonic, Toronto Symphony, and Orchestre de la Suisse Romande. 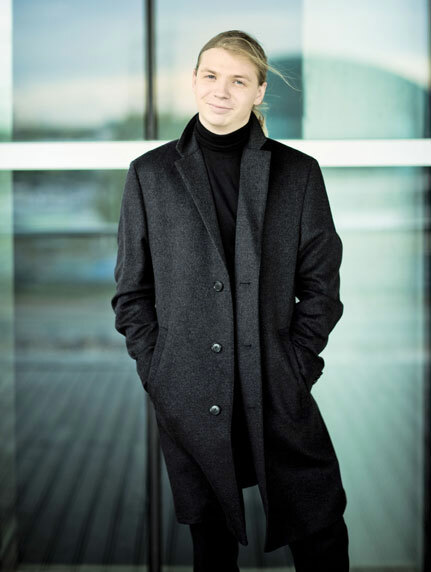 Also an enthusiastic chamber musician, Denis Kozhukhin has worked with artists of the calibre of Leonidas Kavakos, Renaud and Gautier Capuçon, Janine Jansen, Vadim Repin, Julian Rachlin, the Jerusalem Quartet, the Pavel Haas Quartet, Radovan Vlatkovic, Jörg Widmann, Emmanuel Pahud and Alisa Weilerstein. The release of a new album by the SFJAZZ Collective is always worth celebrating, and anyone who attended their four-night residency between October 20 and 23 at the SFJAZZ Center last year, will know that their latest album was recorded live at these concerts, and also that it features the music of Miles Davis, together with a selection of the Collective’s own compositions. On Disc One of this limited edition album, the Collective plays new arrangements of classic works either composed by Davis, or music associated with the legendary trumpeter, bandleader and composer, and on Disc 2 new, original works written by members of the group. Unusually, this award-winning group doesn’t have a leader – they’re all stars, regarded as some of the finest performers and composers in jazz today, and they come from far and wide – Ohio, Baltimore, Miami, Puerto Rico, Venezuela and New Zealand. Miguel Zenón plays alto sax, David Sánchez tenor sax, Sean Jones is on trumpet, Robin Eubanks on trombone, the pianist is Edward Simon, Warren Wolf is on vibraphone, Matt Penman plays bass, and the drummer is Obed Calvaire. Writing original music, and celebrating the work of major modern artists, the Collective has in previous years cast the spotlight on jazz greats like Thelonious Monk, Ornette Coleman, John Coltrane, Herbie Hancock, Wayne Shorter, McCoy Tyner, Horace Silver, Stevie Wonder and Chick Corea, producing music which SFJAZZ describes as “explosive and refined, orchestrally sumptuous and ferociously swinging”. The release of this album also coincides with the SFJAZZ Collective’s Spring 2017 Tour, during which they’re taking in performances in Philadelphia, New York, Atlanta, Chicago, and the New Orleans Jazz & Heritage Festival on May 6. Details can be found on this link. 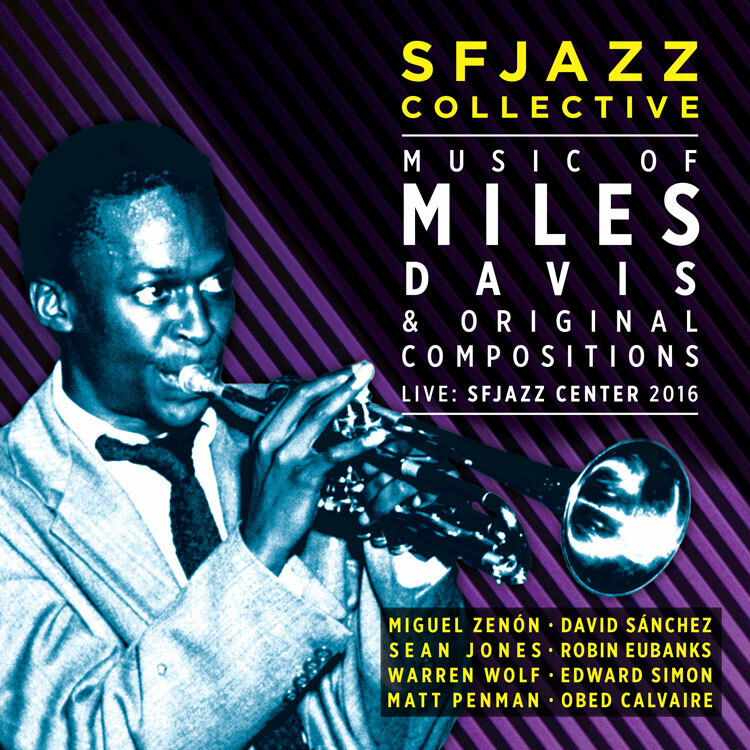 SFJAZZ Collective: Music of Miles Davis and Original Compositions, Live: SFJAZZ Center 2016 is available exclusively through SFJAZZ – and is not available in stores. Each CD set is numbered, and the booklet that goes with the 2-disc album contains exclusive photos from the live performances at the SFJAZZ Center, liner notes by jazz journalist Jesse Hamlin, insights by the musicians, and artist bios. Copies can be ordered from sfjazz.org, or bought at the SFJAZZ Center, 201 Franklin Street, in San Francisco with a 10% discount for members. An important facet of the culture of San Francisco Ballet is the breadth and content of its repertoire. The company can justly be proud of the number of contemporary works it performs, and regularly commissions new works from some of today’s most illustrious choreographers – names such as Christopher Wheeldon, Liam Scarlett, Yuri Possokhov, Alexi Ratmansky, Justin Peck, Myles Thatcher, now Arthur Pita as well, and SF Ballet’s Artistic Director, Helgi Tomasson, who is also the company’s Principal Choreographer. In its penultimate program of the current season San Francisco Ballet presents three neo-classical works, each choreographed specifically for the company – Tomasson’s Trio, Christopher Wheeldon’s Within the Golden Hour, and a world premiere, Ghost in the Machine, by its own Myles Thatcher. The program opens with Trio, which Tomasson set to Tchaikovsky’s Souvenir de Florence. Where, one wonders, would the world of ballet be without Tchaikovsky? Apart from the scores for his three major ballets, Tchaikovsky wrote what seems like countless pieces which could have been composed solely for dancing – they adapt so perfectly for the purpose – but Swan Lake, written in the latter part of his life, was his first. The scores for Onegin and Francesca da Rimini come to mind, and Balanchine used works by Tchaikovsky for his Serenade, the Meditation pas de deux, the Diamonds variation in Jewels, his Mozartiana, Tchaikovsky Pas de Deux, Tchaikovsky Piano Concerto No 2 and Tchaikovsky Suite No 3 – and no doubt there are many more. Souvenir de Florence was originally written as a four-movement string sextet, for the Saint Petersburg Chamber Music Society, a work on which the composer started work whilst in Florence writing his opera The Queen of Spades. It premiered at a private performance in 1890, but – not entirely satisfied with what he’d produced – Tchaikovsky started revising the work the following year, and the final version received its public premiere at the end of 1892, at a performance by the Saint Petersburg Russian Musical Society. Presented in three movements – the Scherzo and Finale being performed as one – Trio opens with a display of expansive waltz sequences by a group of elegantly clad couples in shades of deep magenta and burgundy – the women’s skirts billowing and flowing as they revel in the grandeur of the occasion. The Andante – probably the most well-known movement of this work – begins as a pas de deux between two lovers, until a third figure, representing death, intrudes on their reverie. By contrast, the last movement is spirited and lively – the steps of the dancers reflecting the vitality of the Slavic-style music. Corps de ballet member Myles Thatcher is certainly making his mark on the world of choreography – having written works for both New York City Ballet and the Joffrey Ballet, in addition to his first creation for San Francisco Ballet. Characterized by his creative lifts and group formations, all his works have been highly acclaimed. Thatcher’s latest work for his home company, Ghost in the Machine, was inspired by his realization that as human beings we all need a relationship with others – a spirit of community, he calls it – to help us deal with the issues that we face in life, and this is the theme on which he’s built in this latest work. For the score he’s chosen seven pieces by British composer Michael Nyman – probably most widely known for his soundtrack for The Piano – but whose output includes concert works, chamber music and operas as well – and he’s also an accomplished journalist, writer and visual artist too. 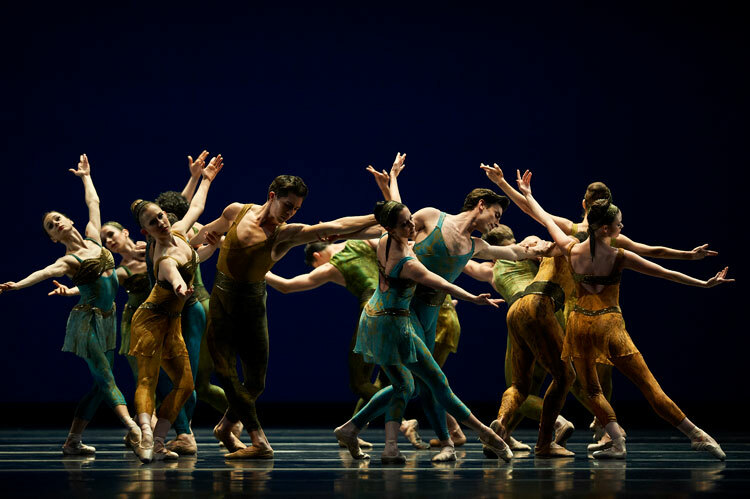 The extraordinarily talented Christopher Wheeldon, Artistic Associate of The Royal Ballet, is the choreographer behind the final work in this program – a ballet entitled Within the Golden Hour which he created for San Francisco Ballet as part of the 2008 New Works Festival. The original score – by Italian minimalist composer Ezio Bosso – comprises six pieces for strings, to which he’s added the Andante from Vivaldi’s Violin Concerto in B-flat Major. The golden hour of the title refers to that time of day – before sunset – when everything is cast in a mellow golden light. Regarded as one of Wheeldon’s finest works, Within the Golden Hour features seven couples, forming groups and moving away again. At the center of the work are three pas de deux, each characterized by a different theme – light, sensual and confrontational – and for the finale all 14 dancers come together for what’s described as “a thrilling ending of pulsating intensity” (The Royal Ballet). San Francisco Ballet’s Made for SF Ballet, with the San Francisco Ballet Orchestra led by Martin West, opens at the War Memorial Opera House this evening, and runs until April 18. For more information on all performances, and for tickets, visit the San Francisco Ballet website . It’s no wonder that San Francisco Ballet has once more brought its production of Swan Lake to the stage of the War Memorial Opera House. It’s a ballet that has absolutely everything – a magnificent score, captivating choreography, and a plot which revolves around a passionate love story, taking on the battle between good and evil. Visually, it’s awe-inspiring as well, with some fascinating contrasts – the crystalline white tutus of the swan maidens against the colorful costumes of the character dances, and the settings which move from the lake in the forest to the grandeur of the royal household. So, despite its rather inauspicious introduction to the world, it’s not hard to see why Swan Lake has been a work beloved of ballet-going audiences for over the past one hundred years. Tchaikovsky wrote the score to the ballet in 1875, in response to a commission by the director of the Moscow Imperial Theatre, Vladimir Begichev, who was eager to promote the artistry of Russia’s master composer. 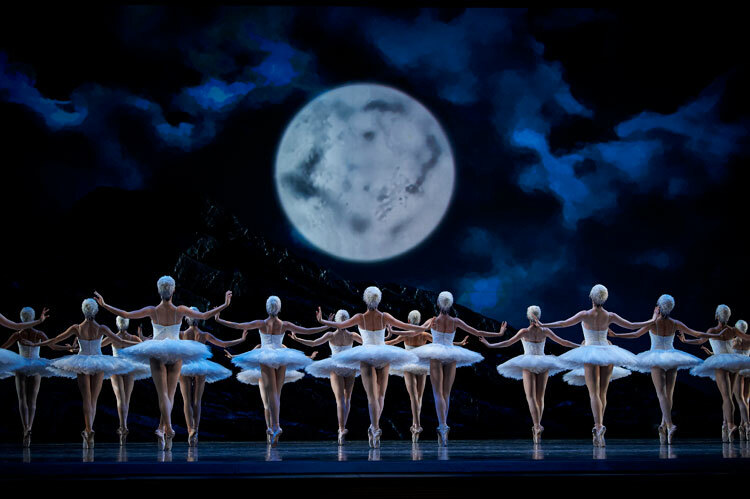 It’s also believed that Begichev crafted the story of Swan Lake, which was most likely to have been adapted from Russian and Germanic folk and fairy tales. The original version of Swan Lake was written by choreographer Julius Reisinger, who is considered to be the father of Czech professional ballet, and who had been appointed to the Bolshoi Theatre in Moscow. Swan Lake premiered there on February 20, 1877, but the production was not well received. Interestingly, Tchaikovsky’s music – his first for a ballet – was considered to be the weakest aspect. What he had composed – according to program notes from the Mariinsky Theatre – was a symphonic work that was “structurally unlike ballet music of the time”, and that such innovation “demanded similar inspiration in the choreography” – inspiration that wasn’t evident in that first production, nor in those that followed during the 1880s. It wasn’t until 1895, following a concert held at the Mariinsky Theatre in memory of Tchaikovsky, that Marius Petipa, director of the Mariinsky Ballet company, decided to stage a ballet at the Imperial Theatre in St Petersburg, using the composer’s debut score. He and his assistant Lev Ivanov re-choreographed the ballet, and composer Riccardo Drigo was charged with revising the score – the version which most choreographers follow today. The premiere of this new and hugely influential interpretation of Swan Lake took place on January 15, 1895 – and it’s now acknowledged to be one of the most popular ballets in the repertoire. There are probably almost as many variations in the interpretation of Swan Lake as there are artistic directors and choreographers, possibly because it’s sufficiently adaptable to accommodate a degree of re-interpretation without deviating significantly from its classical origins. In Helgi Tomasson’s production, introduced to San Francisco Ballet in 1988, he included a Prologue to set the scene for the story that follows, and changed the setting of Act I from the interior of an Imperial-style palace to a street scene outside the palace walls. This backdrop, according to designer Jonathan Fensom, was inspired by the architecture and decor of San Francisco’s City Hall and War Memorial Opera House, and the Louvre in Paris. While die-hard fans of the traditional version of Swan Lake might not necessarily approve of these changes, San Francisco Ballet isn’t afraid to be viewed as modern in its thinking. Dancers are unlikely to be put off by a challenge, though, as the dual role of Odette/Odile proves. 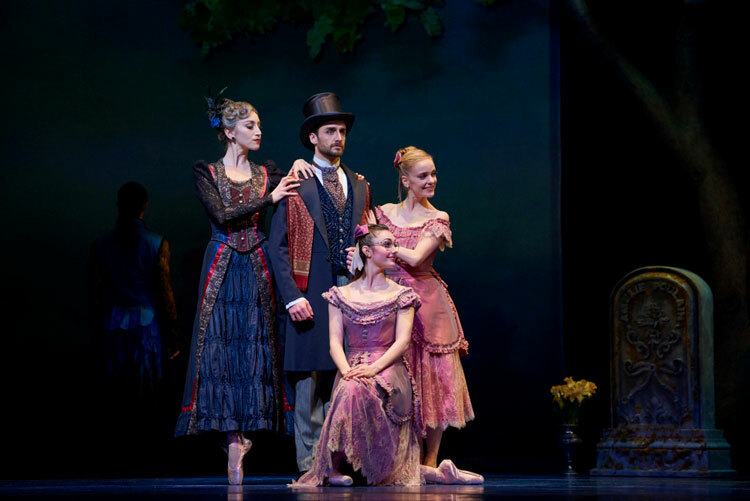 It’s one of those which is widely coveted, despite the extreme level of technical expertise required, and also the huge emotional price it exacts from a dancer in portraying two very different characters – the gentle, almost fragile, Odette, and the steely, conniving Odile. Dancers, however, are not known to have chosen their profession for an easy life! 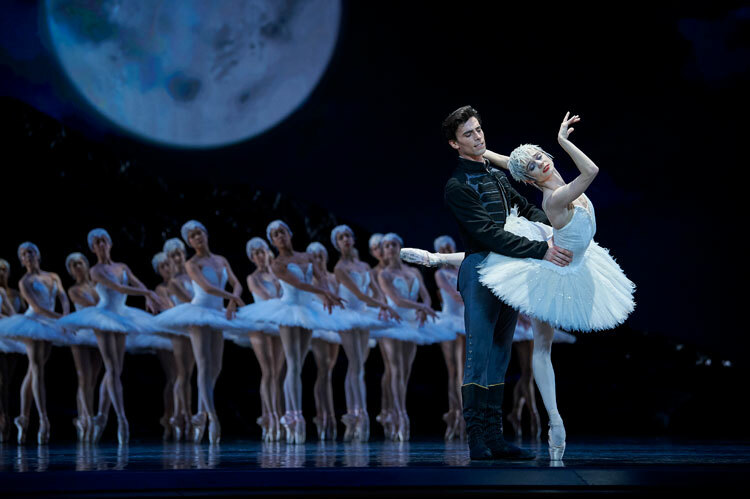 San Francisco Ballet, with the San Francisco Ballet Orchestra conducted by Martin West, performs Helgi Tomasson’s Swan Lake at the War Memorial Opera House until April 15. For more information and tickets, visit the San Francisco Ballet website.